I got a short analysis from a player on .de and a nice little report. He wanted to be anonymus. 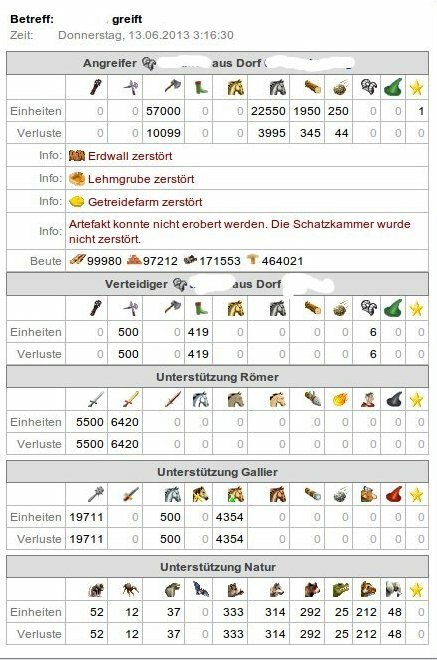 Now when it is time for the WWs there is two fractions on the german server. The world wonder meta 300 and their contrahents SD and their friends (which has not build up until now). I think this will be the two fighting for victory in this round, but maybe there will be others who can build a 3rd or 4th world wonder but with small chances. 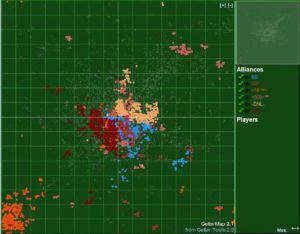 The ally GBB is playing against the SD and I don’t know if they play together with the 300 alliances or not. 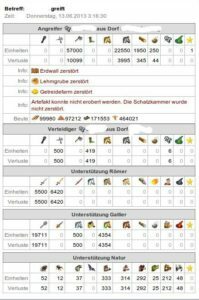 Report from .de. 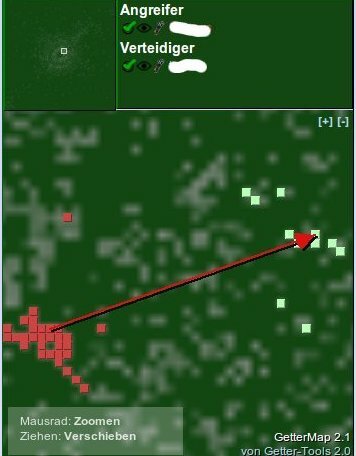 Did the attacker forgot to choose target? Nice off and quite a zoo. The only official meta is ~TF™~ with company. There are few official bindings in the profiles which made it a bit hard for me to guess who is cooperating. On the either side the map isn’t so cluttered. If ~BKs~ is in the meta too they will have a good chance in the WWrace though ~TF™~ have their stronghold settled out in the 400/400 area. Maybe a good spot to sim but the support for the WW will be terrible to handle. =300=™ is splittered over the map. SD have two wings close together and altough -DNL- looks to be alone I don’t think they are. I think this server has 3 even blocks and that it will depend how good their members are on teamwork. interesting detail is that SD have build a stronghold at the border opposite to their quad. The tornament forum have one tread that is active, but that one is very active :D. No report tread.